Simcom Wireless Solutions is the leader in high quality wireless modules for different technology platforms in GSM/GPRS/EDGE Module, WCDMA/HSPA and TD-SCDMA. By partnering with third parties, SIMCom Wireless provides customized design solutions in M2M, WLL, Mobile Computing, GPS and other applications. 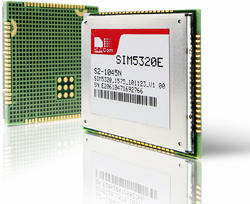 Simcom Wireless also provides ODM services for customers. I2R Labs can supply range of modules SIM5216, SIM5215, SIM5218, SIM5320, SIM5310 from Simcom at highly competitive pricing. 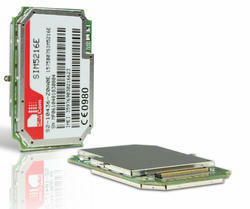 The SIM5320 series is Dual-Band HSDPA/WCDMA and Quad-Band GSM/GPRS/EDGE module solution in a SMT type which supports HSDPA up to 3.6Mbps for downlink data transfer. NOTE: We have updated approximate prices as it keeps changing as per customer requirement. The SIM5218 series is Tri-Band/Single-Band HSPA/ WCDMA and Quad-Band GSM/GPRS/EDGE module solution which supports up to 7.2Mbps downlink speed and 5.76Mbps uplink speed services. It has strong extension capability with rich interfaces including UART, USB2.0 high speed, Embedded SIM Card, SD Card, Camera sensor, GPS, etc. With abundant application capability like embedded LUA script,TCP/UDP/FTP/FTPS/HTTP/HTTPS/SMTP/POP3 and MMS, it will add much value to customers' application. It is ideal for a wide arrange of products including USB Modems, gateways, router, PDA, Video phone, and much more. 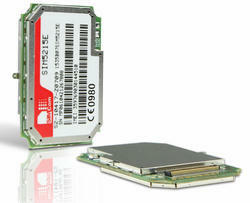 The SIM5215 series is Multi-Band WCDMA/GSM/GPRS/EDGE module solution which supports WCDMA 384Kbps for data transfer. SIM5320/ SIM5360/ SIM5310 SIM5320 NOTE: We have updated approximate prices as it keeps changing as per customer requirement. 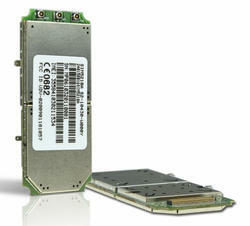 Looking for SIMCOM HSxPA WCDMA Module ?